PTI EasyRatioPro lamp power supplies are highly-regulated DC units that provides very stable power for xenon, mercury, and mercury/xenon compact arc lamps as well as tungsten-halogen lamps. 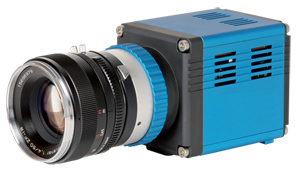 In order to complete an PTI EasyRatioPro system, a digital camera must be selected. There are a large selection of cameras to meet your performance and budget. The principal difference between a charge multiplying CCD and a traditional CCD is the presence of a special extended serial register called the multiplication register. This special, signal boosting process occurs before the charge reaches the readout amplifier, effectively reducing the CCD read noise by the on-chip multiplication gain factor, which can be greater that 1000x. The main benefit of the technology is a far better signal to noise ratio for signals below the CCD read-noise floor. These CCD’s offer excellent resolution and price/performance. High QE across visible spectrum into NIR make them excellent for monochrome imaging. A megapixel array, 20 and 10 MHz operation, Turbo 1394T interface available (FireWire®) make them a good choice for high special resolution applications. Many other cameras are also supported, check with your HORIBA Sales Represntative for compatibility. The new HORIBA Lightning sCMOS camera is a breakthrough in scientific imaging cameras, due to its distinctive ability to simultaneously deliver extremely low noise, fast frame rates, wide dynamic range, high quantum efficiency, high resolution and a large field of view – all in one image. The new HORIBA Lightning sCMOS camera (with scientific CMOS image sensor) features outstanding low read out noise of 1.4 electrons (e-) rms. Even at maximum speed of 100 frames/s at full resolution of 2048 x 2048 pixel the noise is less than 1.5 e- rms. Moreover, the camera provides an excellent homogeneous pixel response to light (PRNU, photo response non-uniformity) and an excellent homogeneous dark signal pixel behavior (DSNU, dark signal non-uniformity), which is achieved by a sophisticated electronic circuit technology and firmware algorithms. The lower figure shows a comparison of a scientific grade CCD and the new HORIBA Lightning sCMOS image sensor under similar weak illumination conditions. This demonstrates the superiority of HORIBA sCMOS over CCD with regards to read out noise and dynamic, without any smear (the vertical lines in the CCD image). The new HORIBA Lightning sCMOS camera offers in fast mode a frame rate of 100 frames/s (fps) at full resolution of 2048 x 2048 pixel. As in many CMOS based cameras the frame rate increases significantly if smaller regions of interest (ROI) are used. The reduction of the image area works as well in favor of the frame rate of CCD sensors, but here unwanted regions still need to be read out at the expense of the total readout speed. The typical frame rate for a 1.3 Mpixel scientific CCD camera (6 e- read out noise) is 10 fps. The new HORIBA sCMOS camera provides at 1.3 Mpixel resolution (< 1.4 e- read out noise) a frame rate of 210 fps in comparison. A human user interface that revolutionizes imaging by increasing productivity through its innovative features. Introducing real-time control of up to 60 programmable function keys and touch sensitive, motorized faders to control exposure time, binning, gain, sample frequency, brightness, Gamma, Contrast and wavelength selection of up to 16 different channels. Optimize your application on the fly! The PTI EasyRatioPro Warp Drive offers a control interface to complement your PTI EasyRatioPro system, with innovative and intuitive methods of manually manipulating and visually monitoring your sessions. 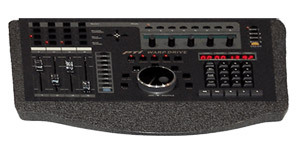 Geared toward those who prefer the familiar tactile interaction available through traditional controls, the Warp Drive control interface also serves to dramatically accelerate your workflow by freeing you from the limitations of mouse-and-keyboard operation. A control interface exists to meet your budget and integrate smoothly with any PTI EasyRatioPro system. Warp Drive puts integrated, tactile manipulation of PTI EasyRatioPro systems running on Windows 7 at your fingertips more affordably than ever before. This space-efficient, full featured control interface option is suited equally well for space challenged multi-room research facilities or small cramped microscopy labs. Control zooming on the graph display. Pushing the up button increases the amplitude of the graph window or Y-zoom. The left button zooms out graph window (increase time axis) and the right button zooms in (decrease time axis). Each page button can have five assignable parameters that can be edited using the rotary encoders. Page 1 encoder 1 controls the electron multiplier gain on the EMCCD camera. Other parameters can be mapped such as frames per second, experiment duration, or camera binning. Plug-In parameters can also be edited from these encoders. J1 to J8 with shift button. These function keys can be mapped. 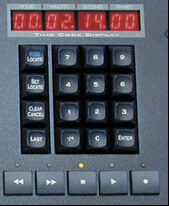 The shift button allows all buttons to have a second function assigned to them. – This button returns the transport to zero. – Places the transport into external sync mode. – Places the In point of the selected range in the graph window. The jog wheel allows the in point to be edited. – Pushing this activates the Jog/Shuttle wheel to control the playback speed of the sequence and the frame advance or rewind. – The inner wheel allows the sequence to scrub forward or backwards. The outer wheel increases or decreases sequence playback speed. – Places the Out point of the selected range in the graph window. The jog wheel allows the out point to be edited. – Activates the loop playback mode and begins playback. If a region is selected this region will be looped. – Takes the transport to the end of the experiment. – Opens/closes the channels window. – Opens/closes the Graph window. – Opens/closes the transport window. – Opens/closes the Image window. – Opens/closes the plug-in window. Square, ellipse, freehand, and linear profile drawn area of interest photometry in real-time or in post-acquisition. Trace math analysis functions such as anti-log, average, combine, XY combine, differentiate, integrate, and linear fit, peak finder. Export of image data to popular formats such as avi, bmp, jpg, tif, png. 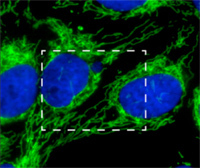 Control of up to 16 excitation, emission, or derived channels. “WARP DRIVE” human user interface control for dedicated control over exposure, gain, electron multiplier, mute, solo, select, record, window functions, jog/shuttle, play, rewind, fast forward, stop, time code, looping and much more.